The Corn Council has the responsibility of allocating the state checkoff program dollars for research, promotion and education of corn funded through 1/4 of 1% of the value per bushel checkoff assessed on all corn marketed in the state. 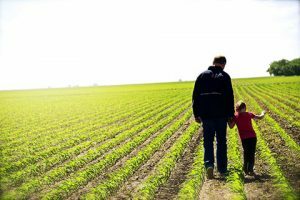 The Corn Growers Association is a farmer-led membership group focusing on farm policy, regulatory issues, leadership development and grower education that enhances the future of North Dakota corn producers. Learn how checkoff dollars are spent on research that benefits North Dakota corn farmers. The future of the baking industry looks bright! The Food Science Research program led by Dr. Bingcan Chen at NDSU is looking to transform liquid corn oil into a semi-solid structure called oleogels. This will create an alternative to saturated fats in food products.